Nearly half of millennials feel “chronically stressed” about money—with good reason. But a strong financial footing, says Rob Nichols, president and CEO of the American Bankers Association (ABA), is not as difficult to come by as some may perceive. 1. Cyber-shop for a bank that fits your style. There are lots of options out there with different advantages. Be selective and get the best prices, services, convenient locations and lowest fees for credit cards, bank accounts and loans. 2. Use your bank’s tools to save without thinking about it. Consider automatic payroll deductions or automatic transfer from checking to savings. Arrange to have a specific amount transferred to your savings account every pay period. 3. Download your bank's mobile app. Manage your finances from the palm of your hand. With the click of a button, you can easily make a deposit or access a record of all your recent transactions. Be sure to download the latest updates when they are available. 4. Sign up for email or text alerts. Get up-to-date info, on the go, the way you want it. Ask for an automatic alert when your balance falls below a certain level, or to confirm when certain types of transactions occur, such as online purchases or transactions of more than $500. 5. Use the personal finance tools your bank may offer. Banks offer an array of budgeting tools and resources to help you keep your finances in check. 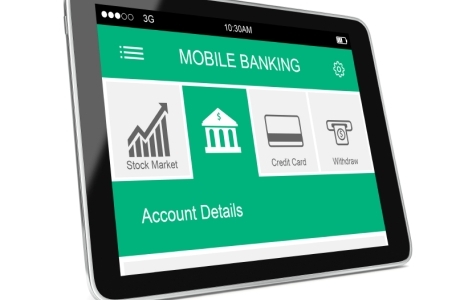 Access these via your bank’s mobile app and website. 6. Expect the unexpected. The last thing you want to be is stressed when life’s unexpected expenditures come knocking at your door. Set up a secondary checking or savings account for emergencies, or link an existing account to your main account as an added layer of protection. 7. Get a head start. Banks play a major role in helping customers prepare for life events, such as buying a house and planning for retirement. Ask your banker how you can establish credit or start a retirement account. 8. Stay connected with social media. Interact with your bank via social media to get the latest news on products and services, ask bank-related questions, join in on conversations and find links to exclusive bank content. With summer quickly approaching, homeowners and renters alike are doing everything they can to prepare their lawns for family-friendly soccer games, neighborhood cookouts, evenings gathered around the fire pit roasting marshmallows and nights spent sleeping under the stars. 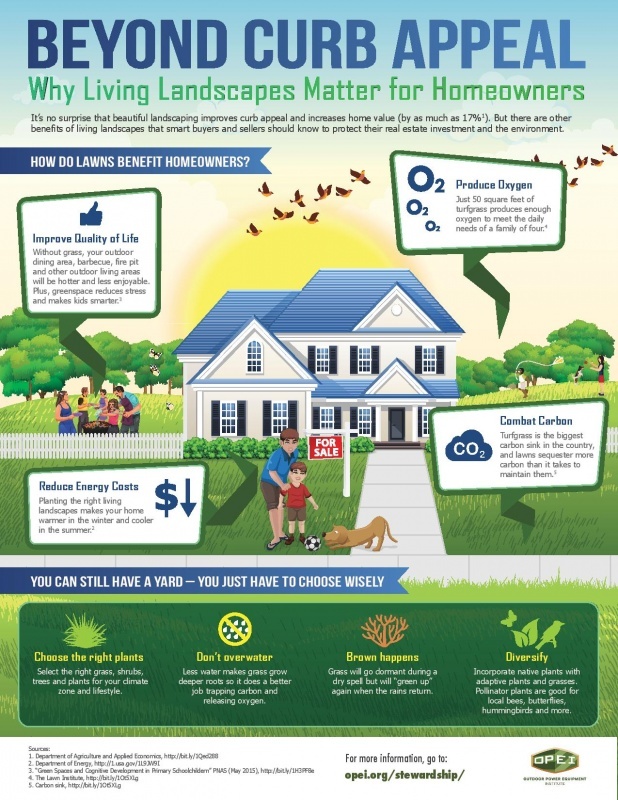 While a lush, healthy lawn will certainly go a long way toward making your neighbors jealous, the benefits don’t end there. The following infographic, provided by the experts at the Outdoor Power Equipment Institute (OPEI), digs a little deeper, touching on some of the major benefits that lie just below your lawn’s surface. Data for March 2016 show mortgage applications for new home purchases increased by 17 percent relative to the previous month, according to The Mortgage Bankers Association (MBA) Builder Application Survey (BAS). "Rising prices for existing homes and a strong job market are making the math work for new construction. In March, the Builder Application Index reached its highest level since its inception in 2012 and was more than 18 percent higher than one year ago. During the last three years, peak application activity for new homes has taken place in March and April suggesting the trend should continue next month," says Lynn Fisher, MBA's Vice President of Research and Economics. By product type, conventional loans composed 67.5 percent of loan applications, FHA loans composed 18.7 percent, RHS/USDA loans composed 0.7 percent and VA loans composed 13.0 percent. The average loan size of new homes increased from $328,370 in February to $339,296 in March. MBA estimates new single-family home sales were running at a seasonally adjusted annual rate of 574,000 units in March 2016, based on data from the BAS. The new home sales estimate is derived using mortgage application information from the BAS, as well as assumptions regarding market coverage and other factors. The seasonally adjusted estimate for March is an increase of 5.5 percent from the February pace of 544,000 units. On an unadjusted basis, the MBA estimates that there were 54,000 new home sales in March 2016, an increase of 14.9 percent from 47,000 new home sales in February. A: Start by finding out its worth. Contact a real estate agent for a comparative market analysis, an informal estimate of value based on the recent selling price of similar neighborhood properties. Or get a certified appraiser to provide an appraisal.